How can I assign multiple users to Client Portal? To assign more than one user to a portal, the best thing to do is set up a password protected portal instead of adding a new user the traditional way. Select the portal you want to assign multiple users to. 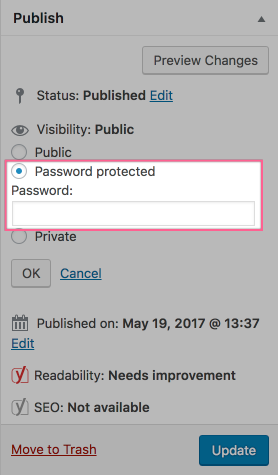 Under Publish -> Visibility, click Password Protected and enter a password to share with your users. From within the project, in the Project Information tab, scroll down to find Client Accounts. Click in the field and a list of your users will appear. Click on the name of the user you want to add.